1100 words / 5 min. Tweet Share Robert Horwitz’s The Irony of Regulatory Reform: The Deregulation of American Telecommunications, published in 1989, explores in depth the issue of telecommunications regulation at a time when telecommunications was once again in transition. Please note that this post is from 2011. Evaluate with care and in light of later events. Telecommunications constitutes one of the four essential modes or channels that permit trade and discourse among members of a society, the other three being transportation, energy utilities, and the system of currency exchange, or money. … These services are “connective” institutions. They are central to the circulation of capital and literally constitute both the foundation and the limit for the overall functioning of a society. This is why … they are called infrastructures. In 1989, deregulation of industries overseen by agencies created during the New Deal was in full swing. The irony for Horwitz is that “deregulation has most strongly affected those regulatory agencies whose actions have been least odious to business.” Thus, agencies created later and earlier than the New Deal were largely unaffected. 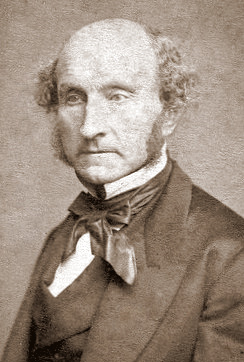 Looking backwards, Horwitz says that the “emergency of regulatory agencies constituted the building of a national administrative structures in a state which had been institutionally localistic and court-centered.” He argues that in the 19th century, the courts provided the oversight of economic development that would eventually be taken over by modern administrative agencies. This changed in the 1890s, after laissez-faire economic principles had created “a general crisis of social control.” The era of big business necessitated an (eventual) government response. The Progressive Era saw the first new regulatory bodies emerge, largely “in response to popular political activism.” This gave us what would become the Food and Drug Administration, the Justice Department’s antitrust division, and the Federal Trade Commission. New Deal agencies, on the other hand, were created to bring stability to specific markets, and was generally greeted with enthusiasm by businesses desperate for such stability. In the 1960s and 70s, the regulatory focus shifted to more general social protections, especially of citizens as a whole. This was the era of the Environmental Protection Agency and the Occupational Safety and Health Administration. Regulatory agencies constitute a new structure of federal political power in the American political system; they represent a mixture of legislative, executive, and judicial functions. In the American system of separated powers, they are an odd delegation of Congressional power: legislatively created, administered by the executive branch, and often given quasi-judicial responsibilities to hear and decide cases (with judicial review, of course, the level of which has varied over time). While industry regulation serves a certain level of private interest–especially in the creation of stability–much regulation involves what Horwitz calls the “public interest”: “something larger, something more general.” Although the 20th-century regulatory agency was a new beast in the United States, “the construction and maintenance of infrastructures usually have been the responsibility of governments” as far back as 13th-century England (in the Anglo-American tradition, at least–but remember that the Roman state built aqueducts and roads much earlier, for example). Today we have the Internet and the World Wide Web, which have the potential to turn everyone into contributors as well as consumers of information. Does this mean, then, that the natural form of these new mediums reduce of eliminate the necessity of their regulation? Or is regulation still needed to maintain a “free marketplace” of both ideas and commerce? Deregulation can reduce the power of established cartels and allow for innovation and novelty: “It permits the resurgence of competition and the anarchistic play of market forces.” This, though, is certainly not in the interest of established players–so why is modern deregulation so associated with big (entrenched) business? Partly, says Horwitz, this is due to the divergence of “administrative rationality and economic rationality.” Regulatory agencies are conservative and bureaucratic by their nature, and the logic of rules be lost even as their enforcement continues. Irrationality–and the regulatory delay of agencies struggling to apply outdated rules to a complex environment–can lead to business uncertainty instead of stability. The burden on the regulated industries thus grows over time. This was made worse as the social goals of the 1960s and 70s created “new obligations, costs, and time delays.” The result? Deregulation won out in many–but not all!–contexts. Do we need God to understand the Constitution?